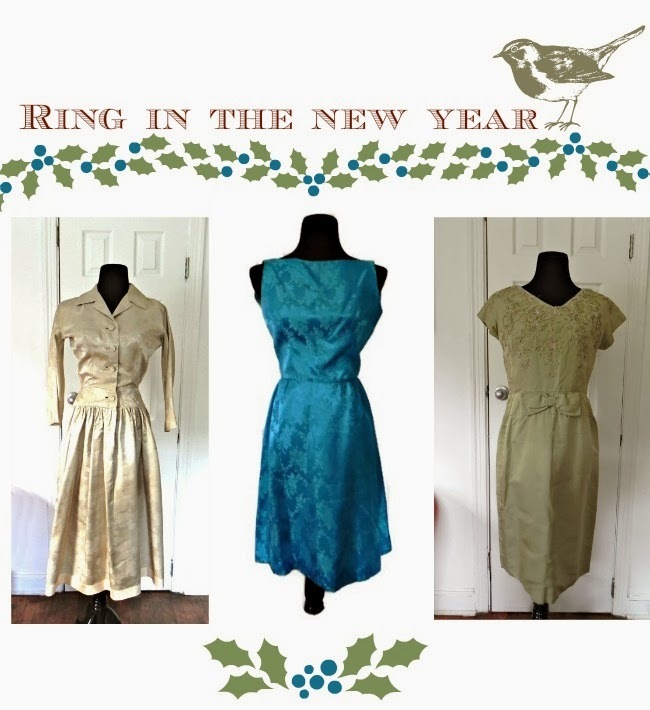 Today I wanted to share some beautiful and affordable vintage delights for your holiday and new year celebrations from sponsor, Vintage World Rocks. Vintage World Rocks stocks dresses, separates, coats and accessories from the 40s-80s. This season, check out the shop for your holiday dresses, shoes and cold weather must-haves. 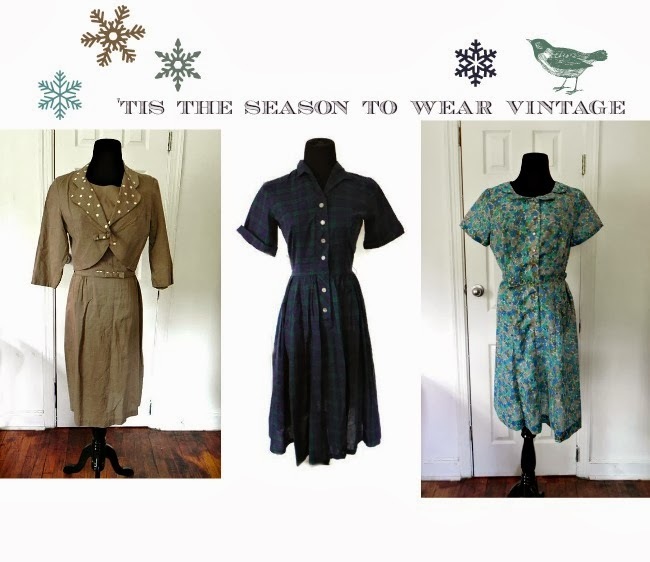 Save 20% off your first order with code "FLASH"
Such lovely vintage dresses for the coming festive months. I especially love the pair of champaign hued offerings in the second set - they'd be perfect for New Year's.